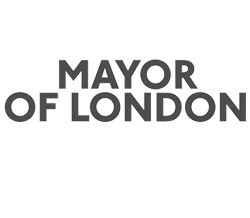 The Mayor of London’s office has twelve initiatives including three brand new ones that they would like London Schools to get involved in and have produced an October newsletter describing what is underway. If you or your school is interested in STEM or improving your recruitment situation there are some good links here. If you’d like to step up to headship, but aren’t sure how to get there, then consider applying to the Getting Ahead London Programme. All Croydon Headteachers are invited to book for our annual event which takes place again this year in Eastbourne. Details have been sent all headteachers and are on the flyer below. Please reserve your place asap as places are likely to be limited. As the current President of the Croydon Headteachers’ Association I would like to welcome you to your important role in our vibrant borough, and give you some information about the CHTA. 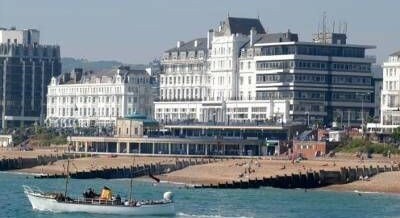 Another great event, the 9th annual Croydon Headteachers’ Conference, took place at the Cavendish Hotel, Eastbourne on 10th/11th March 2016. Over 60 leaders, from all educational sectors, attended. Day 1 began with a fascinating talk by Dr Ioan Rees, of Sycol, which focussed on how organisational culture is key to its performance, no less in schools than any other industry. “Culture eats strategy for breakfast”, to quote business visionary, Peter Drucker, was the key point. With a generation of teenagers who seem to be steering away from alcohol, cigarettes and unsafe sexual practices, there is one worrying trend on the rise; the use of so-called ‘smart drugs’ to help them revise and maximise study time. With a new education bill in the final stages of administration and many other interesting topics being published, here is a roundup of some of the top education news stories from the past week. Since around 2012, the use of tablets in the classroom has been a growing phenomenon with around 1 million being used in schools today. Tablet technology is ever present in today’s society and enables teachers to bring education to life for any age from pre-school up until a time that a person decides to stop learning. The portable, responsive and interactive nature of a tablet makes learning in real time more engaging and memorable. Whether you are a newly qualified or experienced teacher, or are simply interested in finding out more about being teacher, please come along to Octavo’s Teacher Recruitment Fair on Saturday 6th February 2016, 10am-1pm, at Croydon Fairfield Halls. Please DOWNLOAD THE FLYER for more information and to find out how to register your interest. There was a time when the best thing under the Christmas tree was a new book to read. Today, technology rules and children want the latest games or apps to nestle their heads in to once the turkey has been eaten and the crackers pulled. Juergen Maier went on to say, “There comes a point where if you put too much pressure on kids purely academically when clearly their interest is in a more practical type, then you should measure it in a different way. Thank you to colleagues who have responded so far to the CHTA / Octavo Teacher Recruitment project for next year. So far we have had over 40 schools and colleges who are participating in the programme and I wanted to update you on the progress of this work. The Department of Education has estimated a shortfall in the 2015-16 education budget of £600 million rising to £4.6 billion by 2018-2019. This can only mean one thing, spending cuts, which according to the Institute of Fiscal Studies, could be as much 12%. With less money available where would cuts be made; staffing levels, availability and maintenance of facilities or important extra-curricular amenities? We start this week by looking at the next major challenge facing education today; exam reform. With the new, harder GCSEs in English and maths starting this term and remaining subjects to follow in the next year or two, we could be facing a period of exam controversy after exam controversy. With schools and schooling constantly in the spotlight, Minister for Education, Nicky Morgan, has a tough job on her hands if she is to continue safe guarding our education system in testing times. This all important sector faces a growing list of tough challenges. Over the next week we will be highlighting those at the top of the list. 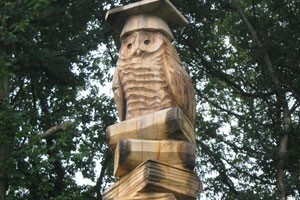 Covered here only a few weeks ago, this issue is still at the forefront of concerns over future education needs. The start of a school year brings with it new ideas and the energy to make them happen. Academies and free schools or local government control? With Labour choosing a new leader, the party’s policies and processes are being given a new look too. One of the striking differences of opinion between Labour and our Conservative government is in how our schools should be run. Lucy Powell, appointed by Mr Corbyn as shadow education secretary, spelled out Labour’s plans to bring existing academies and free schools back in line with other state-maintained schools. With the new school year under way, changes are afoot. Here is just a selection of the shiny new things on the education radar. With over 5 million GCSE results published, 2015 has again seen a rise in the overall number of students gaining A-C grades but with a drop in top level A*-A grades. Nationally, 68.8% of entries gained an A* to C grade with London seeing the best results; 72% achieving A* to C grades. 300,000 students collected A-Level results last week with those taking ‘facilitating subjects’ up by 50% and the number taking tougher subjects to gain entry into Oxbridge and other elite universities reaching record numbers. With universities increasingly demanding ‘harder’ subjects, so called ‘flaky’ ones have seen entry numbers in decline as they are seen to no longer add value to a student’s higher education application. The last couple of weeks of term is always a busy time in school! Sports Days, awards evenings and farewells to long-serving staff are a feature of end-of-term activities for most. As another school year ends, England’s schools face a period of “disruption and uncertainty” after ministers changed their thinking about which GCSEs will count in school league tables. With the phasing in of new toughened GCSEs it was originally said that the old style exams would still count towards league tables while the education system transitioned to the new exams. When recruitment is difficult an important part of any strategy is to identify the reasons why staff are leaving. 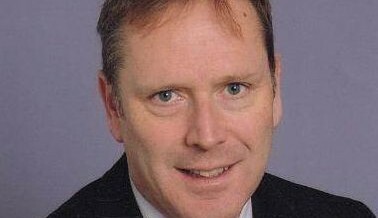 Our round up news begins with the sad story that former schools inspector, Sir Chris Woodhead, passed away earlier this week, aged 68. He had been suffering from motor neurone disease for the past 9 years. According to the BBC, Education Secretary Nicky Morgan described him as an “immense figure in the world of education”. Octavo News Issue 1 – Out Now! Woodcote Primary School in Coulsdon was recently awarded an Outstanding judgement by Ofsted whilst Forest Academy in Shirley and Selsdon Primary were both awarded Good judgements.